If experience stomach aches right after you eat, you may conclude that you've eaten something bad or something your stomach doesn't agree with. Eating undercooked meat can lead to food poisoning and painful stomach aches. To help your situation, there are several things you can do to reduce or eliminate those symptoms. 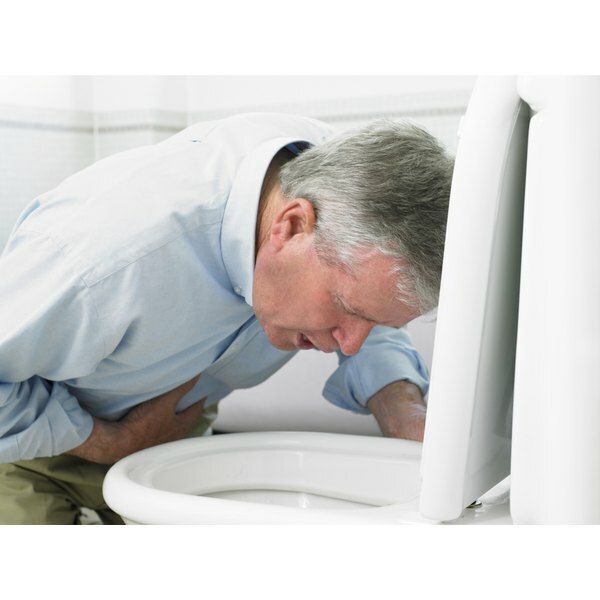 Eating bad food can lead to food poisoning, which can cause bad stomach aches, diarrhea, and vomiting. After losing water and electrolytes such as potassium and sodium from vomiting and diarrhea, you'll feel weak. To replace the water and electrolytes you've lost, it is helpful to drink a beverage engineered for that purpose, such as a sport drink. If you continue to have diarrhea, stomach pain or vomiting, contact your doctor. If you can't get to your doctor, go to the nearest emergency room. Staying home with these symptoms may lead to complicated problems and could even be fatal. During these circumstances, it's safe to avoid foods that are more difficult to digest, such as meat and fried foods. Eating heavy foods may cause you to release it. Eating is still necessary, so it will be best to eat after you've stop vomiting. Eat lighter foods such as jello or crackers. Antibiotics are prescribed to kill bacteria that have an adverse affect on health. Bacteria such as E. coli or salmonella may be found in some undercooked meats. Your physician may prescribe antibiotics after testing to see if you've been infected by such bacteria.